The New Jersey Department of Transportation is responsible for transportation issues and policy in New Jersey, such as maintaining and operating the State's highway and public road system, planning and developing transportation policy and assisting with rail, freight and intermodal transportation issues. LSEA has consistently and successfully handled projects for the New Jersey Department of Transportation for over 15 years. While these contracts are primarily focused on bridge and sign inspections, LSEA has also provided a wide variety of civil engineering services for the NJDOT. LSEA provided sign inspection services to the NJDOT for 106 state-owned overhead sign structures along various routes throughout New Jersey. Our engineers wrote up thorough sign structure reports and performed Pontis evaluations for all structures. Additionally, LSEA performed ultrasonic anchor bolt testing for the foundations of each sign structure. LSEA performed inspections and calculated load ratings for 55 Passaic County owned bridges as part of a two cycle agreement. Our engineers conducted Pontis evaluations for each of the bridges, and constructed thorough reports detailing their findings. We coordinated with the North Jersey District Water Supply to perform an inspection of the West Brooke Bridge over the Wanaque Reservoir. LSEA handled the routine biennial inspections, bridge condition evaluations, and Pontis evaluations for 44 On and 2 Off state bridges. Additionally, we provided a 2nd cycle follow up two years after the initial inspections in order to further verify the accuracy of our initial reports. Our engineers performed load rating calculations for all of the bridges, in order to ensure that they met the required safety standards. 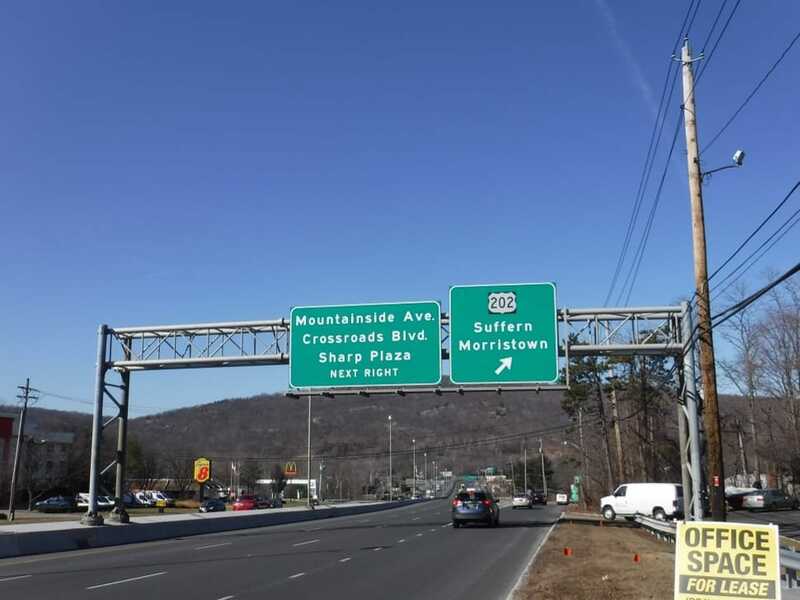 LSEA evaluated the condition and fatigue stresses of 137 cantilever and overhead signs for the NJDOT. Our engineers verified that structures meet the basic resposibilities identified for safety inspections: (a) Maintain Public Safety, (b) Protect Public Investment, (c) Support the Federal Inspection Program, (d) Produce Accurate Records, and (d) fulfill the Legal Requirement. 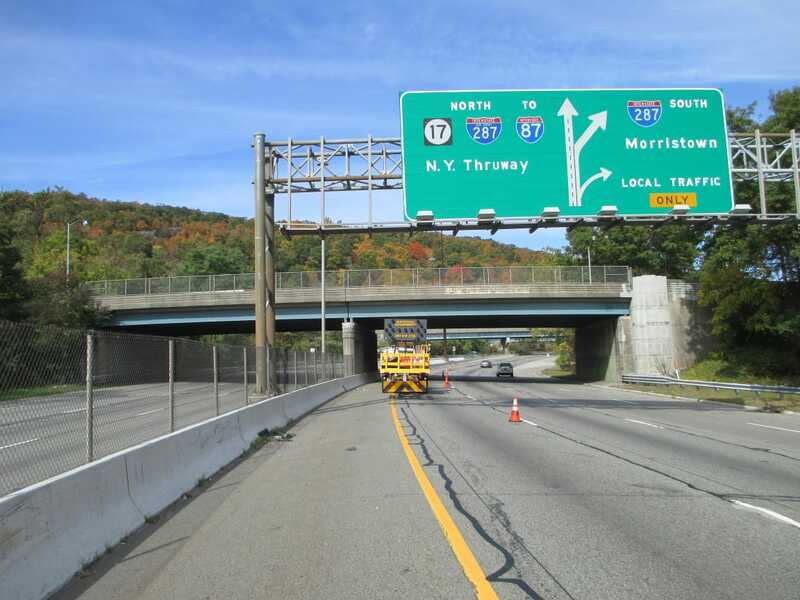 LSEA performed biennial inspections of 42 Morris County bridges, which consist of multi-stringer steel structures, and reinforced and prestressed concrete beam structures, and culverts under several state highways for the NJDOT. Bridge condition evaluations and Pontis evaluations were performed for all structures. LSEA assisted the NJDOT Bureau of Structural Evaluation inspected 7 various FCM bridge structures. LSEA provided professional engineering inspection services for the 7 FCM Bridges including the preparation of plans, specifications, and estimates of the bridge replacement. The project also included the preparation of local and area-wide detour plans, and traffic engineering studies. NJDOT owned overhead span sign inspected by LSEA as part of our 2016 contract. Through coordination with the NJDOT, we are able to safely close lanes necessary to our bridge inspections. 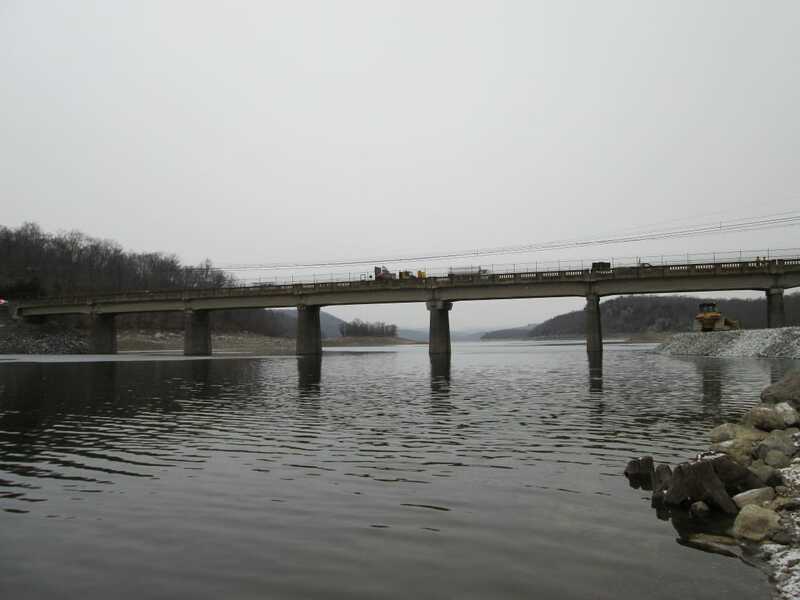 LSEA coordinated with both the NJDOT and the North Jersey District Water Supply to perform an inspection of the West Brooke Bridge over the Wanaque Reservoir.